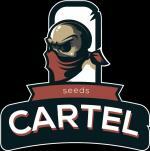 Here you can find all information about the cannabis breeder Cartel Seeds. We've collected data about 18 Cannabis Strains breed by Cartel Seeds. 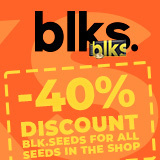 Click on the strains to find more informations, pictures, reviews, comparisons and sources for a variety - and/or check out the Breeder Info here at the page to find out more about Cartel Seeds. Its also possible to visualize all Cartel Seeds strains together with all their Parents or Hybrids with our dynamic maps - check it out! Click here to visualize all Cartel Seeds strains including all known hybrids and descendants with our dynamic map! Here you can watch all Cartel Seeds strains and their ancestors (sorted by origin) with our dynamic strain map! "They tried to bury us they didn't know we were seeds", Cartel Seeds is a union of breeders that love their business, which operates on the basis of a cartel agreement, which sets out the conditions binding on all participants, Participants of the cartel retain their independence and carry out their activities on the basis of a cartel agreement., The cartel united the professional breeders from Spain, Russia, Ukraine and other countries. The Union implements the accumulated experience in its strains, has been working in the industry since 2009., The main goal of the Union is to bring out easily cultivated varieties of hybrids that are not susceptible to disease and are ideal for growing in our climate., Popular hybrids from around the world served as a base for creating and improving strains from Cartel Seeds., The Union of Cartel Seeds monitors the quality and germination of its seeds and, like the cartel, all deviations from the norm are severely punished, of course no one cuts off a hands to anyone, but each cell of the cartel is responsible for its function, which makes the final result more than worthy., It does not matter whether you decide to plant seeds in an enclosed space or under the open sky - know Cartel Seeds have taken care of - that you are satisfied!